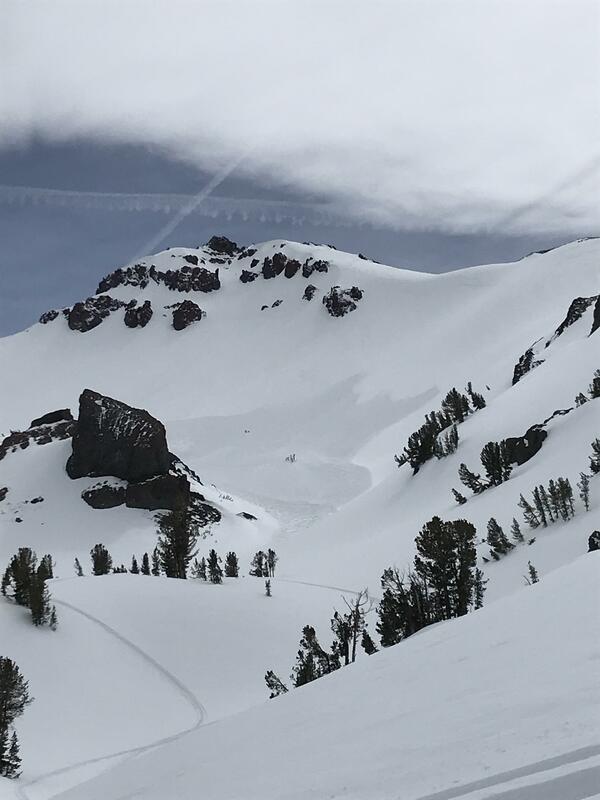 The BWRA has had a unique avalanche cycle in the past couple days. 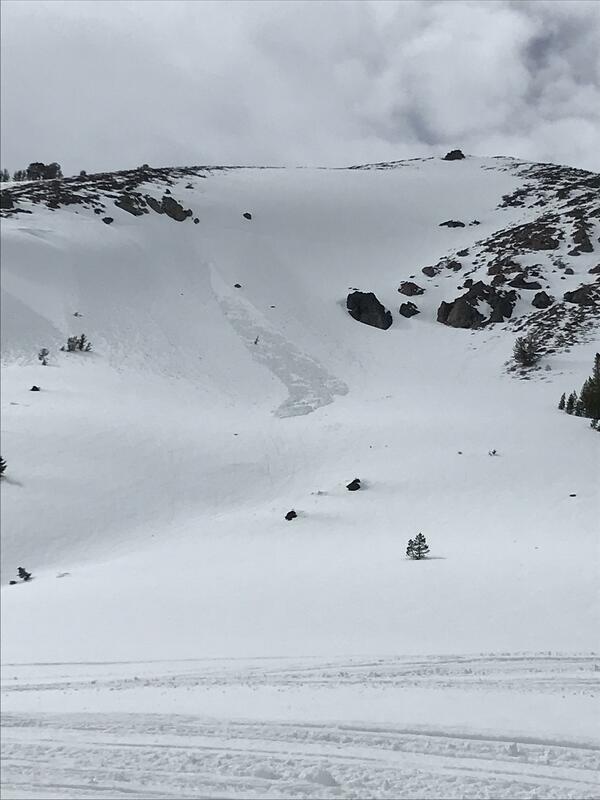 Numerous avalanches happened after just following a quick snow shower that deposited 4-8" & was accompanied by moderate SW winds. Adding to the dynamic of this event was the graupel & rime that fell & the timing of intense sunshine & rapid warming after deposition. Prevailing SW winds had transported the new snow to aspects N-E in Wind Slabs. These slabs gained sun & rapid warming soon after falling causing surface instabilities in the upper 15cm, at an interface where there was a change in snow density. At this interface, 15cm down, multiple Wet Slab style avalanches occurred due to the loosening of the new snow grains. Propagating like a Wind Slab but with the debris characteristics of a Loose Wet, this Wet Slab avalanche was rather larger for the shallow depth of snow it entrained. WS-N-R2.5-D2-S I saw 5 similar Wet Slab avalanches along with over 10 Loose Wet slides. The "Repeat Offender" had a good size Loose Wet that only ran 250' in the tract. 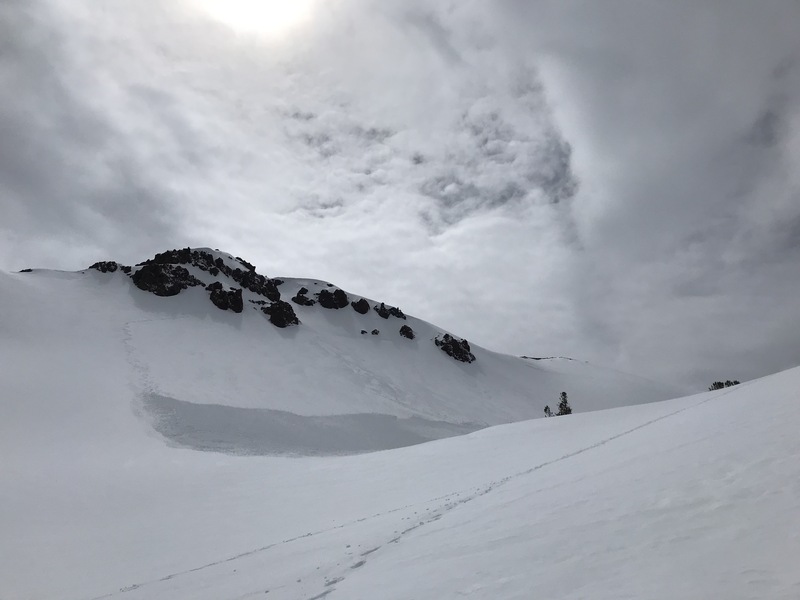 A confirmed skiier triggered Slab on the South side of Leavitt Cirque took one individual for a long ride. Please submit observations when these events happen, we could use the info! This storm entered warm, got cold quickly, then rapidly warmed soon following. 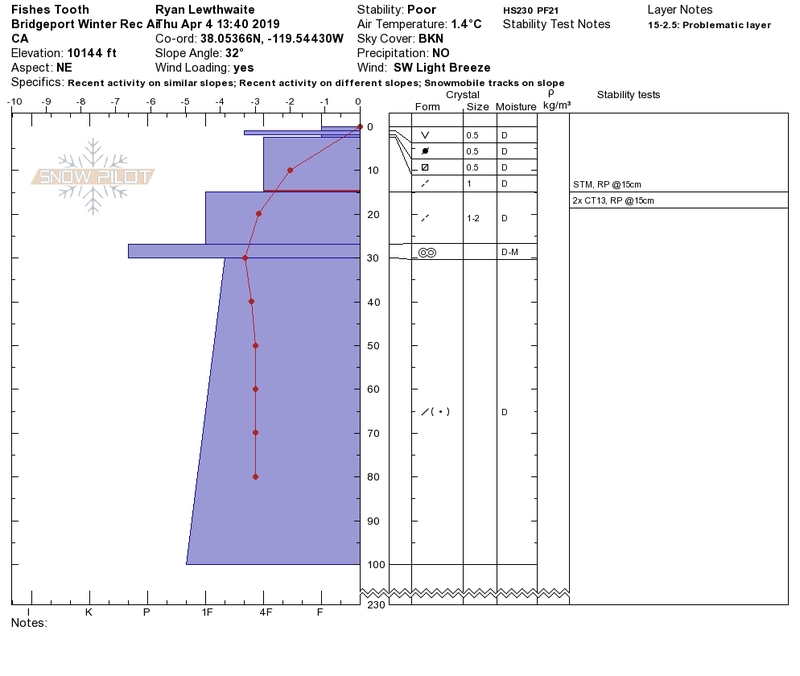 The deposited 4-8" was a mix of broken particles, rime, & graupel; that was transported by SW winds. The emergence of the sun allowed the new snow to melt causing the instabilities.